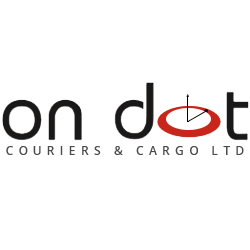 ONDOT COURIER AND CARGO SERVICES: Ondot Couriers & Cargo Ltd was established in 1991 at Delhi. It is counted amongst one of the top ten nationally present express countries in India. The network is built on 4000 booking centers, four zonal offices, and 15 regional offices with 150 branch offices. The company offers transportation and delivery of domestic and international cargo. Their reach extends to metro class A, B and C cities to small cities as well. They are a preferred company for national and multi- national corporates. On the dot, reverse logistics is the fastest, cheapest and widely spread courier service across India. The focus on client’s needs and put a greater emphasis on giving them an excellent service. Local Intra-city Dox for delivering documents within a city and Bulk Mail. a national economic service for delivering bulk mail within the city. well as within state and geographic zone and inter-zone. The weight slab for National and Local Intra city-dox is 250gms while for Bulk Mail it is 50 gms. 2. National Parcel: A pan Indian small parcel courier service available by air and surface. parcels weight less than 3 kg will be moved by air only. 3. International: Express document service with weight slab of 500 gms and express parcel services including heavy load international shipments are available for international couriers. 4. Heavy Shipment: the service is available for all destinations through air and surface. No limit to the number of shipments and weight. All inter region area is covered by express trains only. 5. Reverse Logistics: The return solutions available throughout the country for replacement, spare parts, defective, etc. 6. To pay/COD: Freight collects service and value collect service is available at a particular set of locations. their web page at www.ondot.co and fill in your shipment number on the right side upper most corner. And for international services L*B*H(in cms)/5000. To escape the mathematical calculation, you can go to http://ondot.co:8000/VWCalculation.asp and fill in the shipment type, model and measurements to get the volumetric weight. be contacted at 011 – 33588888.
and other branches are located the whole list of service centers is available on the website itself.